Billy grew up jumping in the Lake Placid Ski Club, a cross country skier as soon as he could walk he added the longer skis when he was 8 and fell in love with Nordic Combined. After a World Cup career spanning 5 Olympic games he retired from the competitive side following the 2015 World Championships in Falun, Sweden. 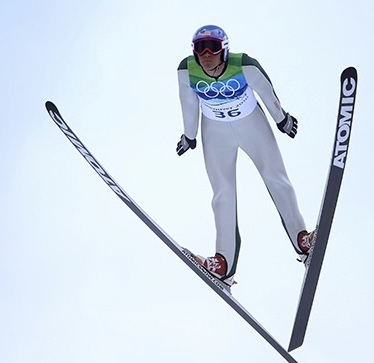 Having played a major role in developing USA Nordic Sports from its origins as USA Ski Jumping, adding Nordic Combined and ushering in many of the organizations key donors, Demong took on the role of Executive Director in the spring of 2016 because of his love for the sport and desire to see the organization find athletic and financial sustainability. “When I look down the road a few years I see USA Nordic’s elite athletes supported at a higher level than they have ever known and the number of youth trying ski jumping and nordic combined at higher rates than we have seen in decades. Ski Jumping in this country has a vibrant community and rich history that I aim to grow on and develop new opportunities to grow our base of athletes, clubs and fans!Demong is America’s first Olympic Gold Medalist in Nordic Skiing and in addition to his passion for skiing has experience as the Global Marketing Director at Reynolds Cycling and longer term experience as a Board Member USA Nordic and the National Nordic Foundation (NNF).